People with dry eyes, good news. 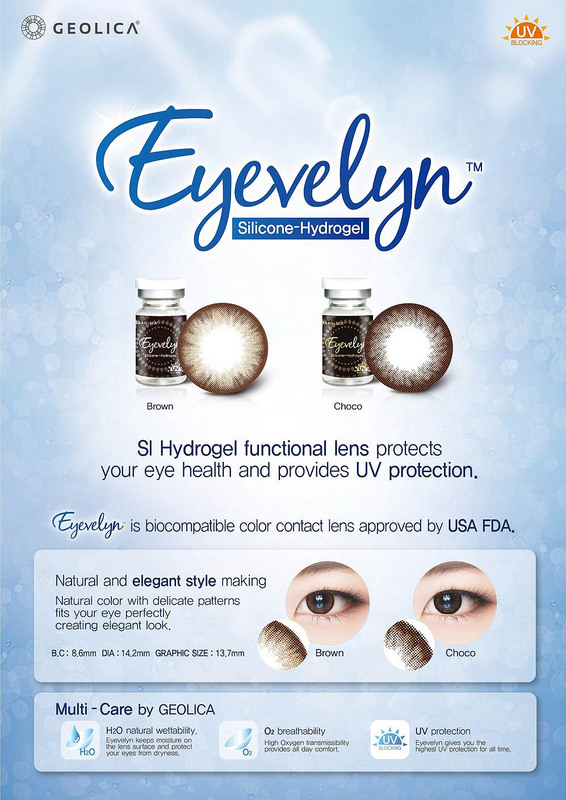 GEO Medical has developed Eyecelyn, the world's first biocompatible silicone hydrogel contact lens approved by the US FDA. Let's find out more about Eyevelyn. The design is a gracefully inclined pattern of deep chocolate surrounded by chocolate's silhouette ring. These natural circle lens is to bring the best functions and improve the beauty of nature without hiding it! Let's look at the characteristics of a silicone hydrogel circle lens. Unlike typical color lenses made of 2-HEMA / polymacon, the Eyevelyn circle lens is made of silicone hydrogel, state of the art contact lens technology. This material provides enhanced oxygen permeability, moisturizing retention, durability and resistance to protein and bacterial adhesion and is backed by a clinical peer review study. H2O Natural Wettability: Silicon hydro gel keeps twice as much moisture as that of hyaruronic acid to protect the eyes from dryness and irritation. 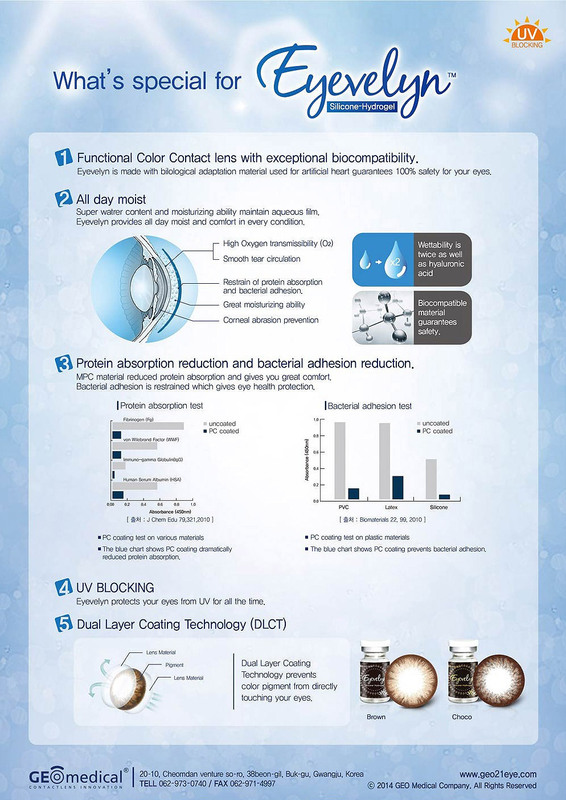 · Bacterial adhesion is restrained which gives eye health protection.